As we worship God through word (the Bible) and sacrament (Holy Communion and Baptism), we celebrate and receive God’s grace and forgiveness. We are reminded that we are welcomed as we are, and that each person is God’s beloved. As we encounter God in worship, we are spiritually fed and nourished, and then sent into the world to share God’s good news of grace and forgiveness in both word and deed. Saint James’ worship is traditional in style, but is attentive to the needs and realities of a modern world. 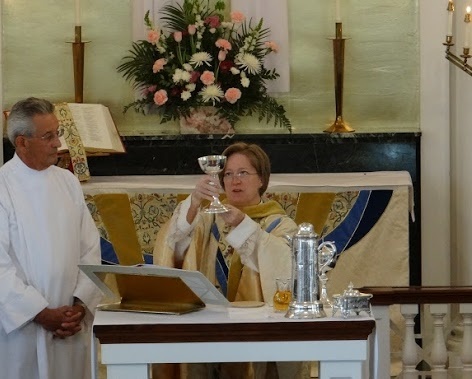 Holy Communion (also called Holy Eucharist or The Lord’s Supper) is celebrated every Sunday at Saint James and at various festivals throughout the church year. As we receive the bread and wine Jesus comes to us to forgive our sins, feed our deepest spiritual hungers, and set us on the path of salvation. As Lutheran Christians, we believe that Jesus’ presence, his body and blood, is truly present to us every time that we join in this sacred meal. 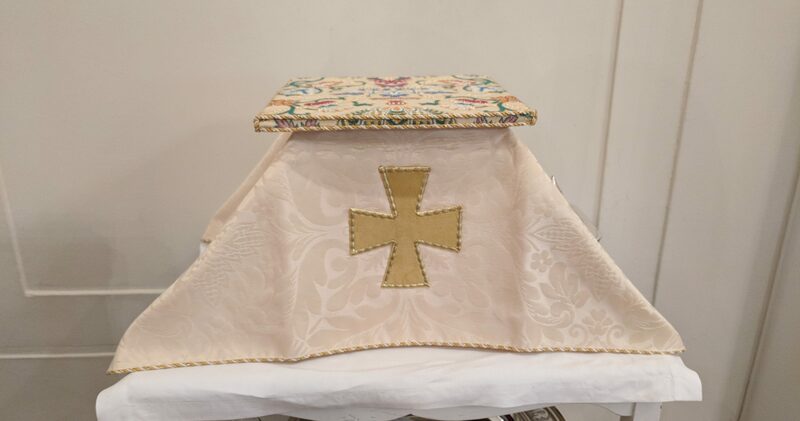 Since our Lord Jesus is the host of Holy Eucharist, all people are welcome to participate in Communion at Saint James regardless of denominational affiliation. Those with no affiliation with any congregation are also welcome at the table. A blessing may be received for those who want to participate in the sacrament, but choose not to receive the bread and wine. Please fold your hands in front of you as you approach the pastor or quietly say to her, ‘blessing, please’. In Holy Baptism, our gracious God frees us from sin and death by joining us to the death and resurrection of Jesus. We are, as our Lutheran liturgy reminds us, “born children of a fallen humanity; in the waters of Baptism we are reborn children of God and inheritors of eternal life. By water and the Holy Spirit, we are made members of the Church which is the body of Christ.” (Holy Baptism, Evangelical Lutheran Worship). 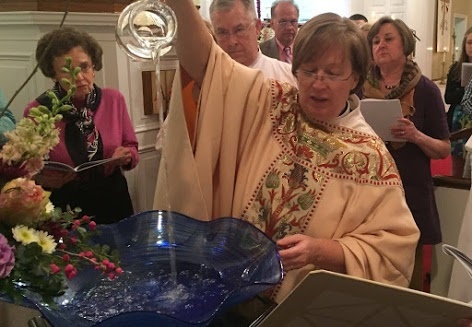 The Lutheran Church practices baptism of infants and children as well as adults. A short period of preparation with the Pastor precedes the celebration of this sacrament. Children are always welcome in worship! 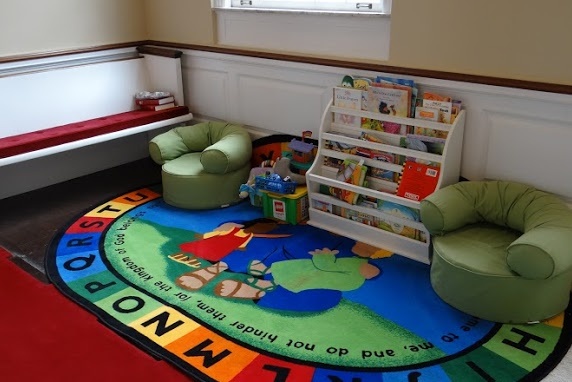 Copies of KIDS CELEBRATE, children’s worship bags, and a special Kids in Worship space near the front of the church (pulpit side) offer hospitality for the youngest worshipers. God put the wiggle in children; don’t feel you have to suppress it in God’s house. For those who prefer, there is a nursery available each week for children up to age 3. If children are in the nursery during worship, it is especially appropriate during communion to bring them into the sanctuary to participate. As Jesus said, “Let the children come to me.” Older children and youth participate in worship as worship assistants, lectors, and acolytes.